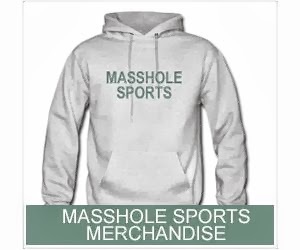 Masshole Sports: NFL.com Removed All Of Aaron Hernandez's Career Stats And Historical Info From Their Site But Had No Problem Showing Video Of People Exchanging His Jersey This Weekend. 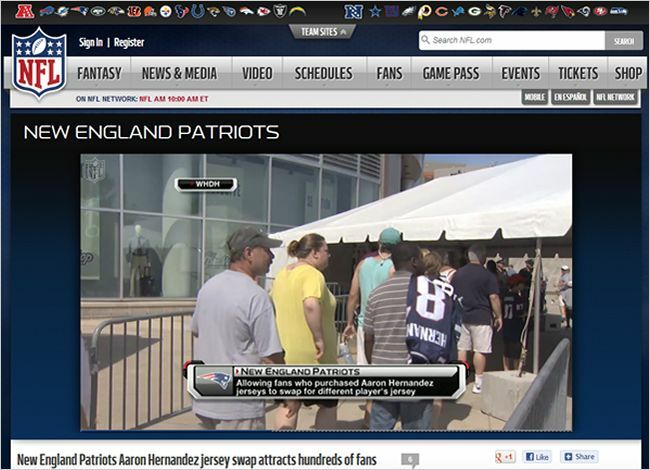 NFL.com Removed All Of Aaron Hernandez's Career Stats And Historical Info From Their Site But Had No Problem Showing Video Of People Exchanging His Jersey This Weekend. The day after Aaron Hernandez was arrested and charges with murder, NFL.com removed all of his stats and his bio from their site. Its like he never existed to them. He isnt even listed as a former player (which is something they should have done to Ray Lewis back in 2000, but I digress). 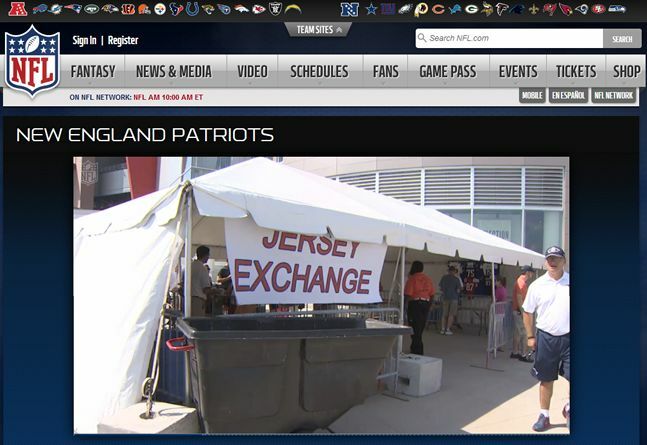 Well, this weekend the Patriots held an Aaron Hernandez jersey exchange where people could trade in a Hernandez jersey for another jersey of their choice and NFL.com had no problem showing video of the hundreds of people who lined up. Im not saying that they shouldnt have posted the video. Its just pretty ballsy of them.